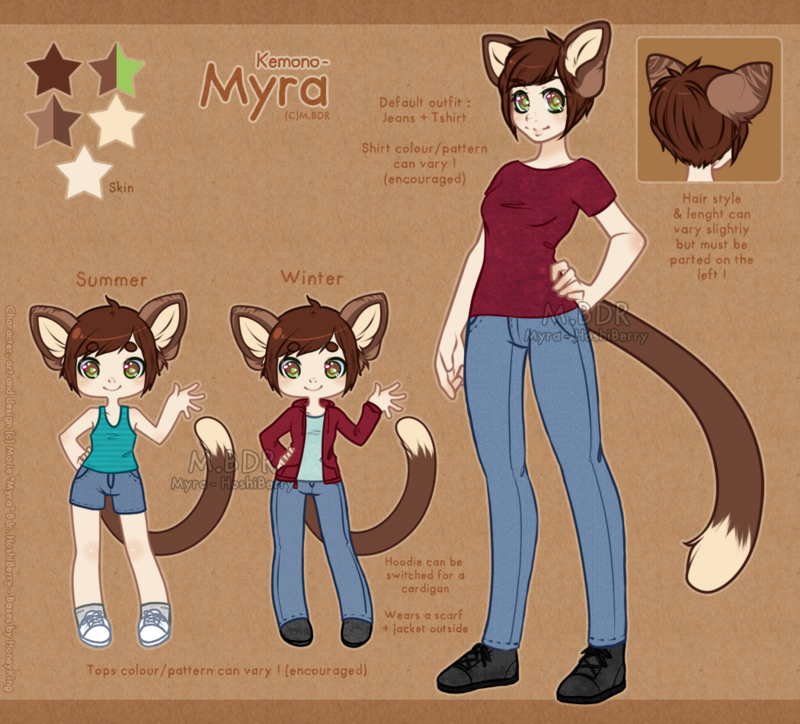 Myra is my mascot/sona. She got a few anecdotic looks in the past but has been solidified as this anthro feline form in 2012, wich is her main form. This is her default look, an anthro feline (cat + cheetah + leopard). It was about time I gave her a kemonomimi alt !